We have all been in an unexpected traffic jam or stoppage which might get in the way of our plans of meeting people, and causing unavoidable delays in arrival. 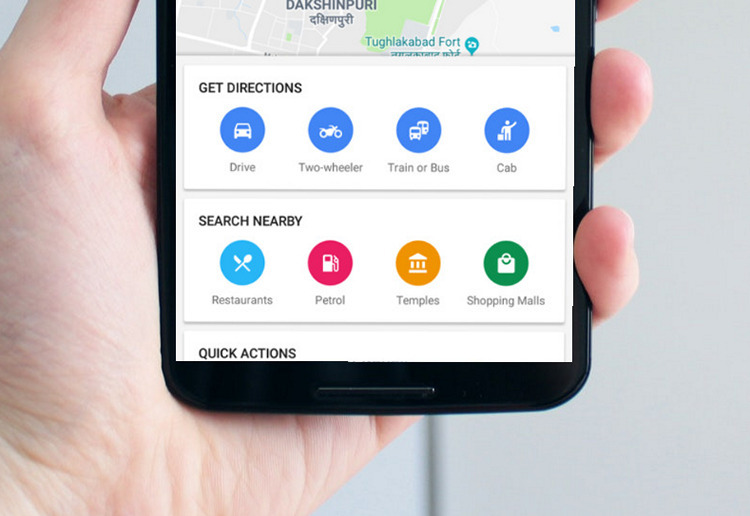 This is where the Share Location feature in Google Maps comes handy, which lets you broadcast your live location – even during an ongoing journey – with anyone who might be expecting to see you or wanting to be assured of your safety. Now, a new server-side update has extended the feature beyond the driving mode. Following the update, the new feature lets you share your live location even when you’re taking public transport. To make use of this feature, we recommend you to update Google Maps on your phone to the latest version, even though the change appears to be made at Google’s end. 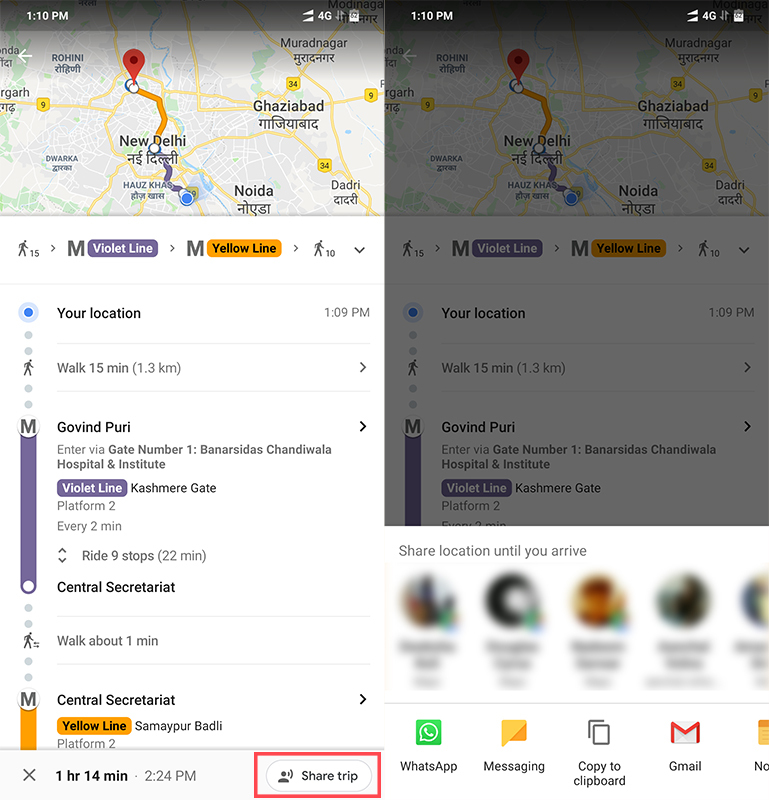 To find out the fastest route using public transport in Google Maps, including buses and metro train and options for cabs, key in your desired destination and then tap on the icon which resembles the front of a train. You may choose from among any of the options that might be available to you to start step-by-step navigation with alerts. Once you choose the desired route, you can tap on the Share Trip button at the bottom right corner. Besides being able to share your live location with your Google contacts, you can also share a live tracking link over popular messaging or communications apps like WhatsApp, Facebook Messenger, Gmail and also over the SMS app. The feature is working on most Android devices, going back to Android Nougat. While an update for Google Maps on iOS has not arrived yet, we might see it soon. We believe that it should help make daily commute less stressful, for you and anyone who wants to be assured of your wellness. However, do keep in mind that the information might be incomplete or delayed when you’re riding underground metro trains or in similar situations of poor GPS and internet connectivity.